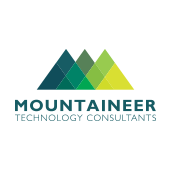 I can always count on Mountaineer Technology Consultants to take care of all of my office computer needs. They offer a great deal of technology services that ensure everything in my office is running smoothly. Booker is very responsive when a problem arises, and takes care of things quickly and efficiently so that I can spend my time caring for the patients of my dental practice and also running my business. Their service is top notch and I always recommend them to family, friends, and patients of my practice who need these types of services.